While in Queensland the family and I had the joy of visiting heritage listed Currumbin Wildlife Sanctuary, which is a mini zoo with lots of gorgeous animals on display. With entry prices costing us just $39.95 each on a concession rate, we had a great day out up close with the animals. The animals we got to see were kangaroos, lorikeets, wallabies, koalas, wombats, emus, reptiles, pelicans, lemurs, red pandas, and a few others. Our favourite part about the sanctuary is the informative talks the keepers run throughout the day and the photo opportunities you can have with the snakes or koalas. My two cousins got a photo with a cute koala, which was a lovely keepsake for them to take home. 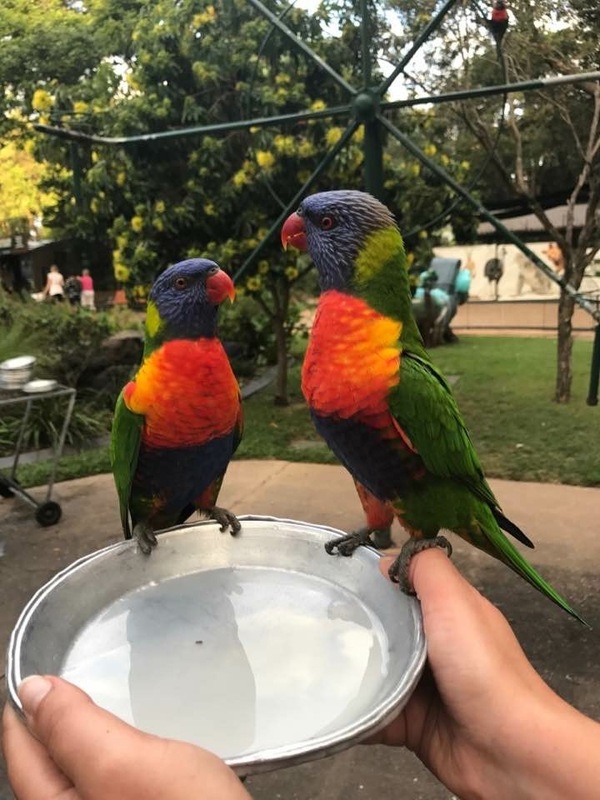 Feeding the stunning lorikeets was one of the highlights of our day. 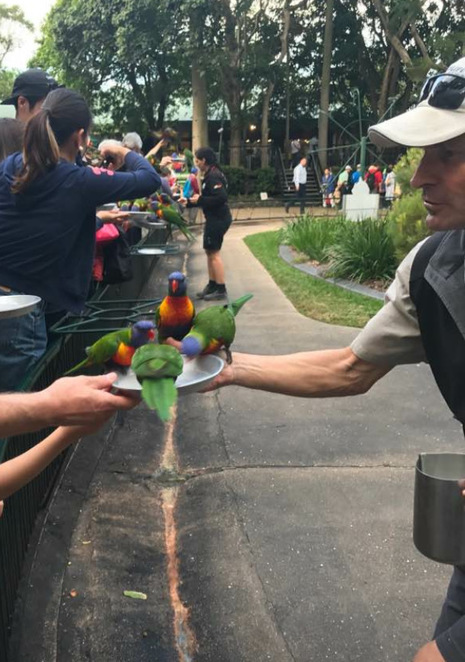 You get to hold out a little plate with seeds and the bird comes and eats it from you. The little kids loved this a lot and still talk about the experience to this day. There are a great range of encounters you can have with the animals for an extra fee. I didn't choose to do this, however I got to watch others participate and it looked like such a rewarding experience. Some encounters include ones with the dingoes, echidnas, lemurs, possums and koalas. They even offer a guided segway tours and a treetop challenge which looked great. There is a nice little cafe at the sanctuary which sells delicious food including chips, sandwhiches, burgers, fruit, etc. You are permitted to bring your own lunch too, so that can help with saving money. Overall we loved our experience at the Currumbin Wildlife Sanctuary. There was plenty of parking, they were open all day and there were lots of resting spots, toilets and a huge children's playground as well, which the little ones loved. If we visit the Gold Coast again we are definitely going to go back to Currumbin for a visit. 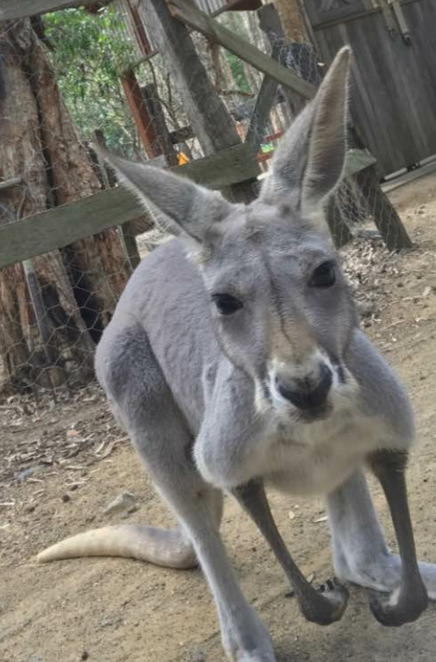 Visit the Currumbin Wildlife Sanctuary website here .